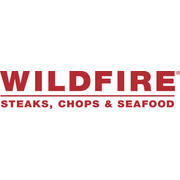 Wildfire in Tysons Corner Now Seeking A Restaurant Manager… Join Our Leadership Team! Wildfire is seeking a Restaurant Manager who is truly committed to consistently exceeding guest expectations. Whether you’re building on your successful management experience, or you’re eager to put new management skills into practice, consider this opportunity for merit-based growth within the stability of an established company. EOE. E-Verify. From the décor to the jazz music, Wildfire has the style and warmth that brings something special to the experience of dining out. Wood-fired ovens and spit roasters add a special flavor to the fresh, top-quality selection of steaks, chops, and seafood. Some of our signature dishes include Wildfire Chopped Salad, Horseradish Crusted Filet, Roasted Prime Rib of Beef, and Cedar Planked Salmon. We Offer: Competitive pay…Quarterly bonus program…Restaurant discounts…Blue Cross/Blue Shield medical/dental insurance…Domestic partner benefits…Vision plan…401(k)…Employee assistance program (EAP)…Pre-tax transit benefit (where applicable)…Nonsmoking working environment…Training, development & advancement opportunities…Paid time off including holiday, vacation, sick days, parental leave…and more! Lettuce Entertain You is an Equal Opportunity Employer. We Participate in E-Verify. With the lively spirit of a 1940s supper club and a menu that defines “American comfort food,” Wildfire has become an American favorite. Wood-fired ovens and spit roasters add a special flavor to the fresh, top-quality meats, seafood, poultry, and vegetables, while a broad range of cocktails and wines — several available in multi-glass tasting “flights” — add to the delight. Specialties include seafood and steaks prepared with a variety of tasty crusts ranging from macadamia nuts to horseradish; prime ribs of beef, barbecued baby back ribs, fabulous salads, and a range of exceptional sandwiches are the regular fare. They’re supplemented with nightly and seasonal specials in every menu category. Giant baked, double-baked, and barbecue-rubbed sweet potatoes, creamed spinach, and other sides add to the pleasure. Wildfire’s desserts are special, too, with great individual and full-size pies, ice-cream and pudding creations, and fresh-fruit-based treats.